Place the meatball ingredients together in a large bowl and mix very well. The easiest and most thorough way of doing this is with your hands. Once the mixture is well combined, roll into 18 generous-sized balls and set aside while you make the sauce. Place a large, heavy-based pan on top of the stove, turn the heat to medium and add the olive oil. Once the oil is warm, add the onion, chilli and garlic, turn the heat down slightly and cook for 10 minutes; the onion should be soft and translucent. Add the bay leaves, sage and a good pinch of salt and cook for a further five minutes, then add the wine and return the heat to medium. Allow the wine to bubble for a minute, then add the tomatoes, place a lid on the pan and cook for half an hour, by which time the sauce should have reduced a little to be rich and dark. Season with a good pinch of salt and a little black pepper and add the meatballs. Return the lid and cook for 20 minutes, then serve. 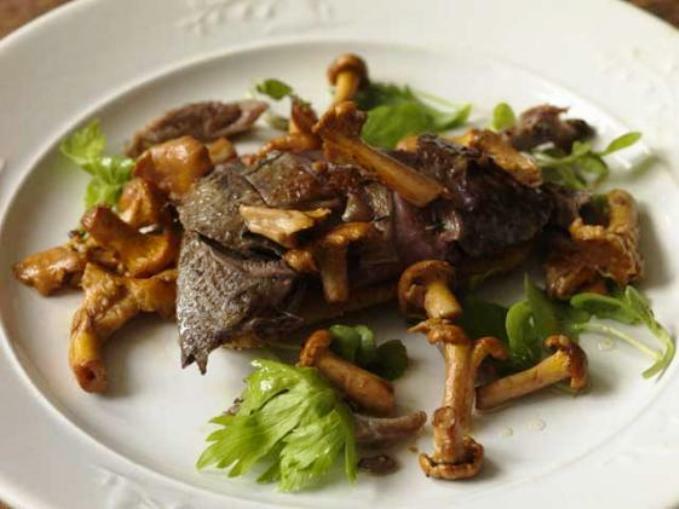 This is an economical way to get four good starter servings out of two grouse. (You can do the same dish with wood pigeon.) Make the polenta the night before; once set, it will last a few days in the fridge. The night before, make the polenta: bring the milk to the boil in a thick-bottomed pan, then add the garlic, bay leaf, salt and pepper and nutmeg. Simmer for 5 minutes then whisk in the polenta and cook on a low heat for about 10 minutes, stirring every so often so that it doesn’t stick to the bottom of the pan. Add the cream and parmesan and cook for a further 5 minutes. Line a small rectangular container with clingfilm and pour in the polenta. Leave to cool then refrigerate overnight. Preheat the oven to 240°. Rub the grouse with butter and then season them. Place the two birds in a roasting tray and roast for 12-15 minutes, keeping them nice and pink, then leave them to rest. While the grouse are cooking, turn out the polenta and remove the clingfilm. Cut into 1cm-thick slices and dust them with flour. Heat a couple of tablespoons of vegetable oil in a non-stick frying pan and add a knob of butter. Fry the slices of polenta for 2-3 minutes on each side on a medium heat until golden, then remove and keep warm. Heat another frying pan with the rest of the butter and cook the girolles on a medium heat for a few minutes, seasoning them while they are cooking and turning them with a spoon. Add the parsley and remove from the heat. Remove the legs from the grouse with a sharp knife, then carefully remove the breasts. Slice the breasts into 4 or 5 slices. 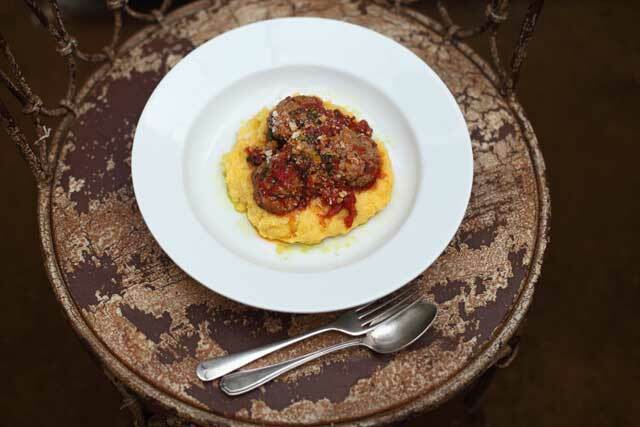 Place the slices of polenta on warmed serving plates and arrange the breasts and legs on top. Spoon over the girolles.